PRESCIENCE- pre-science (noun) - The fact of knowing something before it takes place; foreknowledge. "With extraordinary prescience, Jung actually predicted the Nazi eruption." "With extraordinary prescience, Santino actually predicted the slow warming and swelling, the hot reddening and burgeoning, the painful building of the ultimate throbbing whitehead, and at last, the bursting of the American hate-pimple complete with the eruption and release of Trump bile." 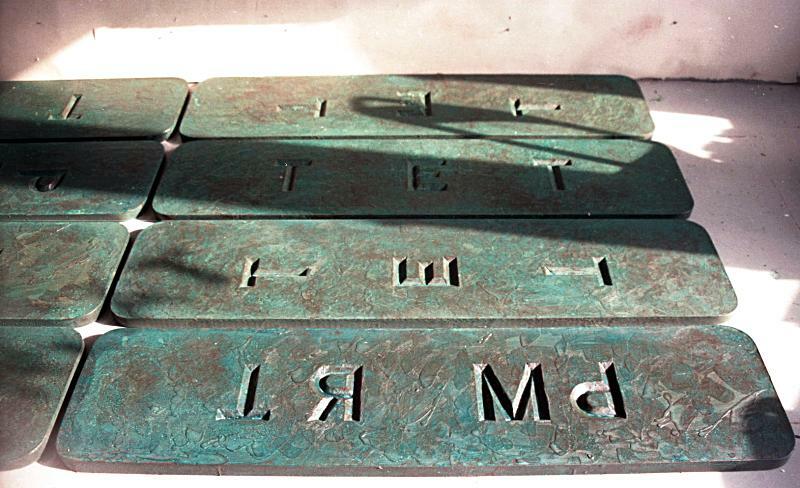 "TET-TRUMP" 48" x 96", encaustic on carved dense foam, 1988. Click here for a gallery of images of this work today! Back in the 1980s, I worked painting and plastering apartments on the Upper East Side in Manhattan. Donald Trump was beginning his rise to notoriety - in New York anyway. Trump would be railing on about how successful he was, completely oblivious to his inherited position of privilege. I used to tell the guys I worked with, guys from tough, poor backgrounds - living in Queens, the South Bronx - dangerous neighborhoods then - that just their getting from their apartments, getting to the train and getting to work was more of a true heroic accomplishment than this spoiled little rich boy making a million dollars on a real estate sale. Trump came to symbolize all that was going wrong about America. In that same period, I was beginning to work out my ideas about this "going wrong". Ideas that later became the basis for "Failure Institute" which was started in 1990. The key, it seemed to me, the starting point was the Tet Offensive of late January 1968 and the images of Viet Cong troops on the grounds of the American Embassy in Saigon. When I watched the broadcast of the film of that attack on the CBS Evening News, Walter Cronkite had an odd look in his eye, and I knew something had changed about my country. 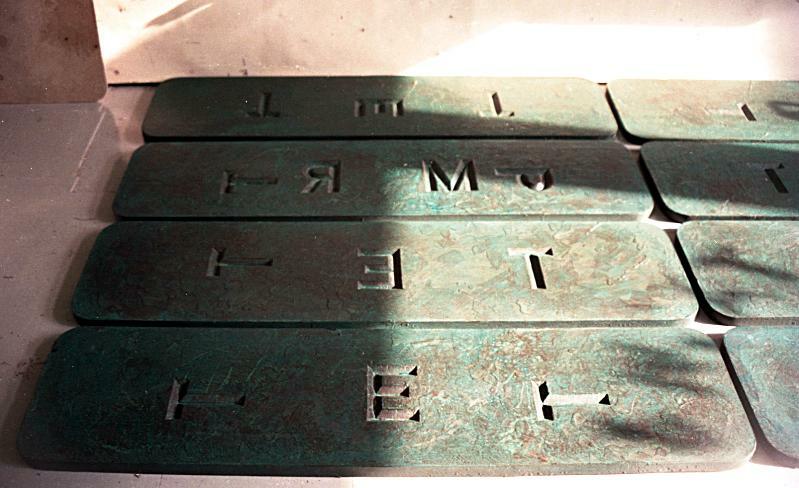 In 1988 I created a work intended for the floor entitled "TET-TRUMP"
"Finally, there are going to be enough of me to go around", says Santino. 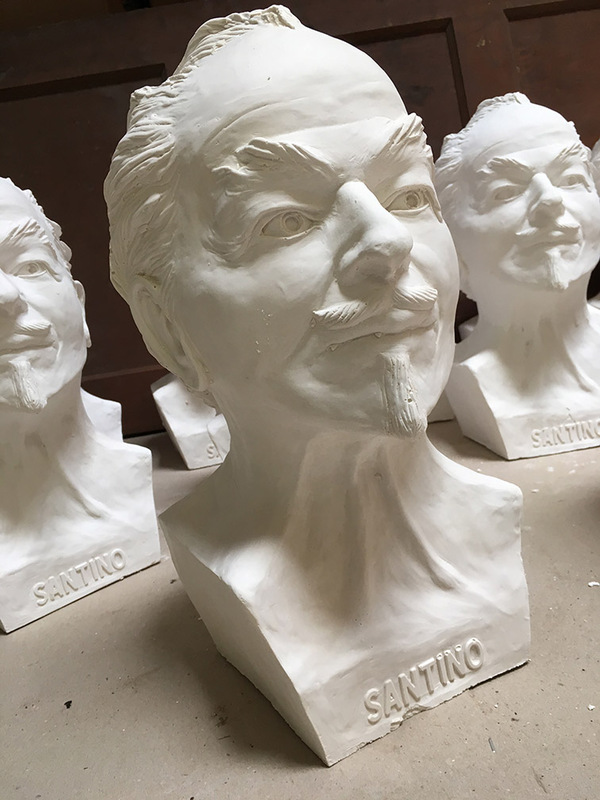 This life-size plaster cast multiple of the Santino bust is realized in May. Now available as an Apple iBook and an Amazon Kindle! "Long derided as tacky and vulgar, the design of the '70s is now a source of great inspiration." – T, The New York Times Style Magazine, March 29, 2015. Background photo on this page is of a cluster of Santino Busts out in the barn, freshly popped from the mold.